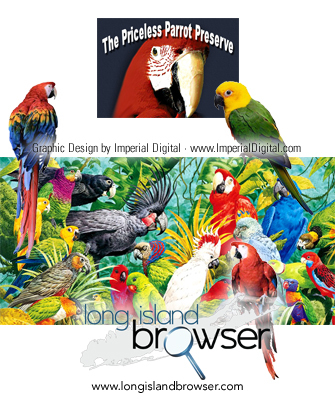 The Priceless Parrot Preserve on Long Island, New York is the first and only 501-C3 tax-exempt nonprofit preserve in New York State dedicated exclusively to the permanent care of exotic birds. 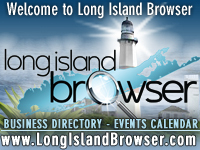 The Priceless Parrot Preserve on Long Island, New York is the first and only 501-C3 tax-exempt nonprofit preserve in New York State dedicated exclusively to the permanent care of exotic birds. The Priceless Parrot Preserve, Inc. exists for the purpose of educating the public about exotic birds, (both domestic and in the wild) and to give a permanent home to abused, mistreated, and unwanted exotic birds. We will not sell, breed or adopt out any birds who come into our care. Our birds will live out the rest of their lives here with dignity, respect and loving care. We will take in birds that are no longer of "pet quality" provided they have no illnesses that would threaten the rest of our flock. We handle mainly large Macaws and Cockatoos, but will take in smaller birds, room permitting. Tags: Long Island Priceless Parrot Preserve, Long Island parrots, Long Island parrot rescue, parrot rescue Long Island, exotic birds, psittaciformes, Nassau County parrots, Nassau County parrot rescue, Suffolk County parrots, Suffolk County parrot rescue, education, research, advocacy, service, prevent endangerment, extinction, Nassau County, Suffolk County, Long Island, New York.